The first installment of Hawaii Life's "Worthshop" Series turned out to be a huge success. We had over 130 people in attendance, representing over 20 different companies. 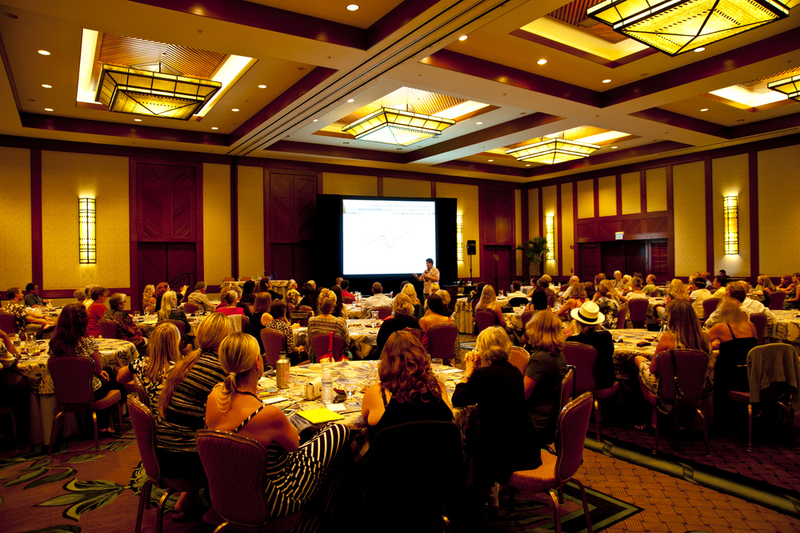 Realtors, mortgage lenders, and vendors came from Oahu, Maui and Kauai to attend the event at the Four Seasons in the Big Island's Hualalai Resort. "Who are you to host a luxury real estate conference?" Just the #5 residential real estate company in Hawaii, who sold more $10m+ listings in 2011 than any other brokerage in the state (except for Hualalai Realty, who wasn't in attendance). That's all. "Isn't this just a big recruiting event"? No. It was exactly what we said it was, a way to bring in some really cool content from really cool speakers, and to offset (some of) the costs by openly inviting other people in the industry. If there is such a thing as an entertaining economist, it's Paul Brewbaker. Sure, the information he delivers is highly technical, but his delivery is humorous and definitely on point. To hear him tell it, if past performance is any indicator of future activity, then it's unlikely there will be any "double dip" coming in Hawaii's economy (and, more specifically, the real estate market) any time soon. Our keynote speaker, Marc Davison, is definitely one of the real estate industry's most well-known thought-leaders. He founded 1000 Watt Consulting, who are really almost untouched when it comes to real estate consulting. They work with the industry's brightest and best. His talk was entitled "Innovation. Disruption. Destruction." As presentations go, he hit it out of the park. What he (humbly) didn't talk about is his latest project, Nudge, a very cool marketing tool for real estate that allows agents to quickly and simply create visual market indicators that are super easy to distribute. It solves a problem that we all know exists. Real estate agents often send out a bunch of crap to their client lists... super complex reports that are hard to understand, generic market data purchased from some content aggregating vendor, cheesy newsletter templates, etc. etc. With Nudge, you can literally answer the "How's the market?" question in seconds, and send it out to anyone you want, via any medium (social, e-mail, etc.). We're psyched for Marc, and we were stoked that so many people came out to see him talk at this first installment in our Worthshop Series. 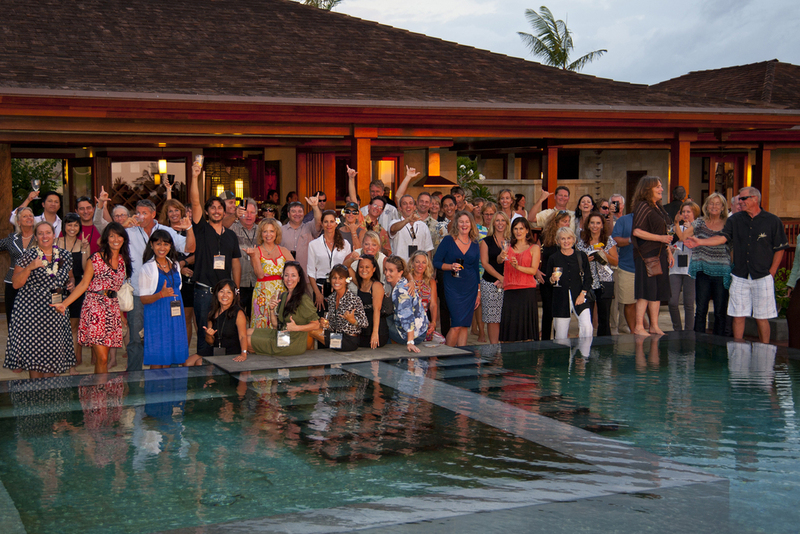 We closed the event with a reception at Hale Ku Mana in the Hualalai Resort.